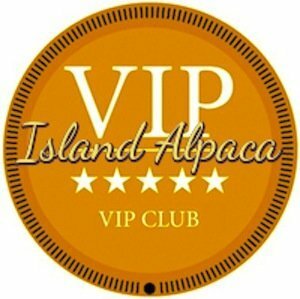 UNLIMITED VISITS TO ISLAND ALPACA! Island Alpaca Farm during our most popular months! A special offer for you and the alpaca enthusiasts in your life! Island Alpaca has an entry fee from May 1 to October 31. The rest of the year there is no charge to visit. This fee helps us to off-set part of the expense to run the farm; the alpaca feed and care, the labor, insurance, taxes, general maintenance and so much more. We hope that with the season V.I.P. passes you will be our special guests for a reduced rate, based on your hopeful, numerous visits. If you have not been to our farm before, we know you will want to be back soon, and again and again! See below to take advantage of our special rates for your return visits to Island Alpaca. Get your ticket to an Island Alpaca adventure! Simply order online or at our welcome booth and we will email you a receipt that you will have for your V.I.P. CLUB visits! * Note: V.I.P. CLUB purchases must be made at least 24 hours in advance of your visit. Tickets are not transferable. Purchaser must be member of the visiting group and present a valid photo-identification upon entry. Thank you! 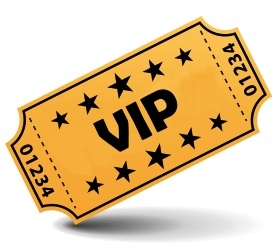 SPECIAL V.I.P CLUB MEMBERSHIPS = Unlimited Visits! Additional family members or guests with named member $15 with any of the above. Additional family members or guests with named member $25 with any of the above. Additional family members or guests with named member $45 with any of the above.